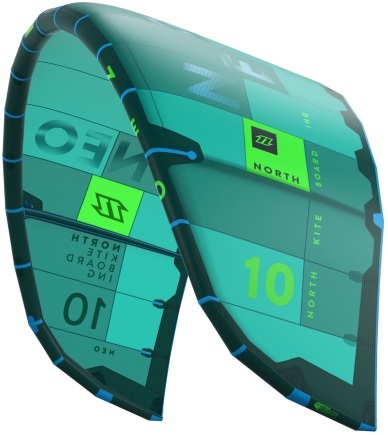 Last year the Neo was redeveloped as a pure wave-riding kite, focusing on the qualities that riders demand in waves. The kite not only impressed the riders, but also won several magazine tests in its class. This year the kite has been completely reworked to further improve its performance. The Neo still has amazing drift capabilities, but the top end has also been improved while keeping the amazing low end. The kite has excellent sheet and go characteristics, meaning you can either dump power, or use it according to where you are on the wave and how it is breaking. This will get you out of difficult situations, but it also makes riding waves easier and flying the Neo is very instinctive. For 2015 we recommend using a kite 1-2 sizes smaller than you would normally as the low end is so impressive! The world’s best wave riders all love the Neo and when you fly one on the waves, you’ll fall in love too! We taught with the Neo kites and personally I love the Neo's in the waves, especially the 6m & 7m. We think the North Neo 2015 is a real allrounder. We love the bigger ones in the lessons, the 5m, 6 and 7m kites we used them a lot for kids under 16 knots. Above 16 knots we shorten the lines and used the 5m a lot. Overall the performance of the smaller ones was a bit better than the 10 & 12m kites. The biggies were great for lessons and starters, if you look for performance characteristics like pop, lift or floaty jumps. Most instructors took their North Rebel or North Evo kites. The nice thing about the 2015 Neo is its large user and wind range! Best size? We believe the 7m was the most used Neo, in the lessons and in the waves! great low-end, good high-end. Watch out for the smaller sizes in highend winds. They can genarate a explosve pop. After testing the 6m few month ago I was surprised by the explosive lift of the 7m Neo. Fast & explosive I would descipe the 7m. The 6m Neo was light and gentle, the 7m is more aggressive. The conditions where pretty heavy with mostly around 30 knots. Kids like to play, learn fast and mostly learn by doing. In our school we see a lot of youngster and we are always looking for equipment that helps these kids learn our sport, easy, safe and playful. This week we tested the new North Neo 4m in very light winds. The question was, should we take 4 or 5m North Neo's in our school? We go for the 5m Neo's. The 4m is too small for light wind (< 15 knots). The 4m needs more wind to generate more power and stay stable enough to play around. 5m it will be! Go to our blog for other kite reviews for kids. 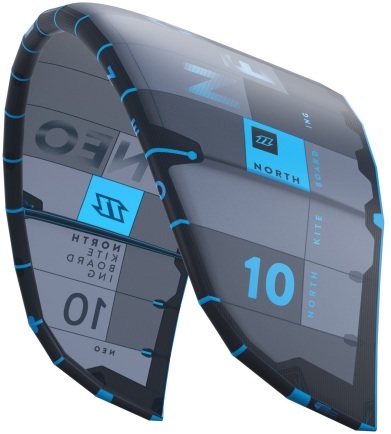 The North Neo 2015 has positioned itself through its very smooth power delivery and absolute control in the turns as ideal Strapless wave kite. His forgiving handling, the bar feeling and its Sheet and Go features make it even for beginners or freeriders a good choice. The new 2015 Neo is changed in comparison with the previous 2014 model. The new Neo is lighter on the bar with less low end power and more high end wind range. The new 6m Neo shifted in its usability in a higher wind range. That's great for the storm freaks. If you like the low end of the 2014 Neo 6m, think about testing the new 2015 7m North Neo.